Saturday morning and you wake up early again (why kids do not sleep more on weekends????) and you realize that you have soooo many things to do! Once more, weekend is here! So, clean the house, go for shopping, cooking, go out in birthday parties or cinema or in the kindergarten with the kids and at the end of they day you feel so exhausted, like weekend was never here! What to do? Easy…wait for the kids to sleep, prepare a hot bath, add some Rose Bath Salts and stay there for a while trying to relax with a glass of your favorite wine! Great right? 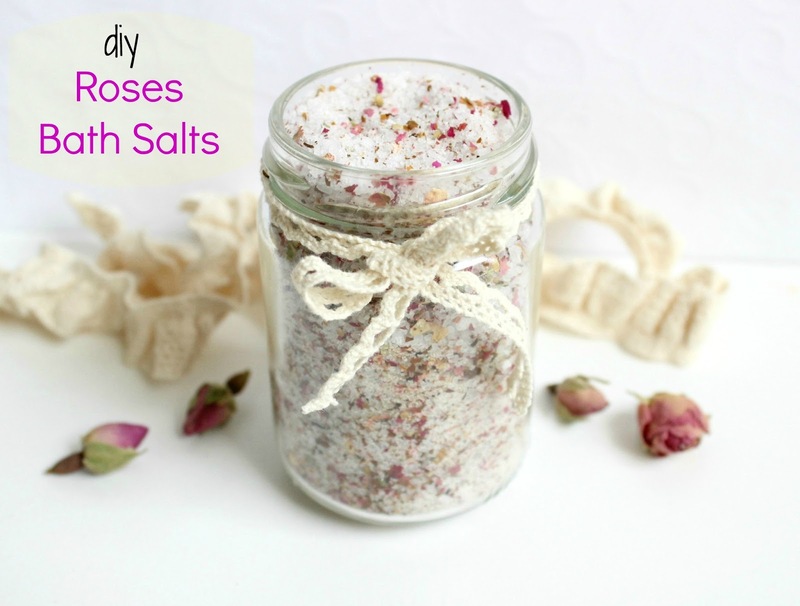 At least these bath salts are so aromatic!!! An amazing aroma from Roses! Would you like to craft them by yourself? The procedure is really easy and it will take less than 5 minutes to prepare them. 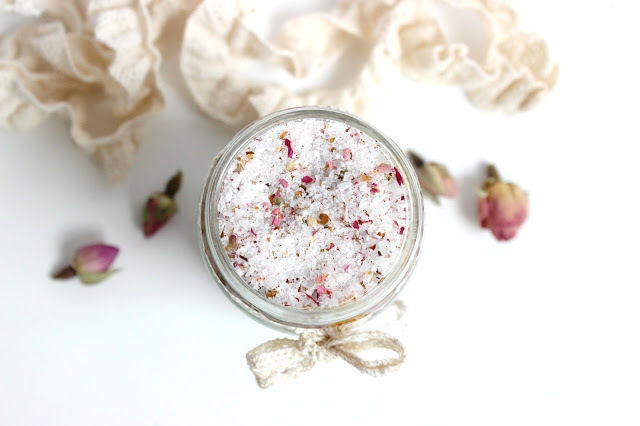 First put the dry roses into a food processor and mix for just a few seconds! The petals break up into beautiful tiny pieces. 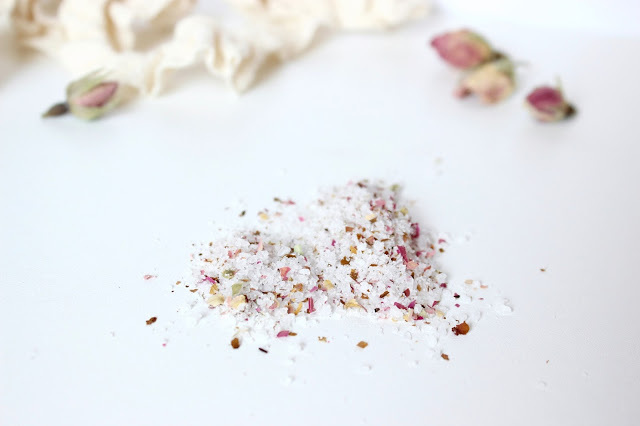 In a bowl add the sea salts, the Epson salts and the petals and mix them. 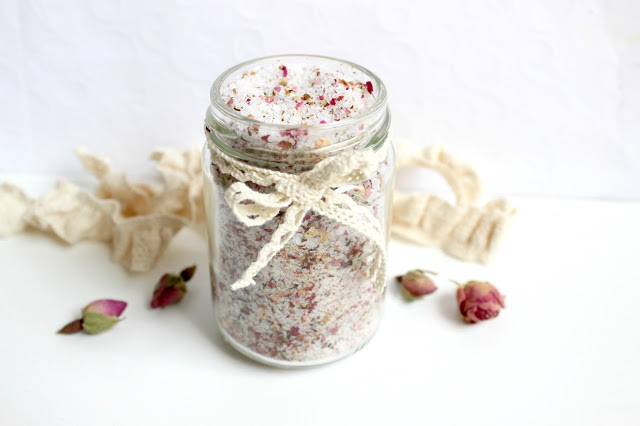 Your Bath Salts are ready!!!! And what is the best part? You do not need to add any essential oil, since these tiny dry roses I got from here have an amazing aroma!!!! Actually, isn’t this a great idea for a Christmas gift for your best friend or your sister or your mother? Well, I have a few more ideas to share with you, so stay in touch! Happy Crafting and have a great and relaxing bath!!!! !